Connexin, an award-winning Smart City Infrastructure operator and builder, has now announced a commercial investment in support of a high-bandwidth network infrastructure in the City of Bradford. The City of Bradford is the 4th largest metropolitan district in England, located in West Yorkshire. With a population of more than 1.5 million residents, the city is the sixth-most populous local authority district in England. The Connexin investment is to support future applications such as high speed Fibre Wireless Access (FWA), Public Safety, Smart Traffic Management, Smart Waste Management, City Wide Public Wi-Fi Network and more. All of this serves to help fuel economic development, social inclusion and provide residents and businesses with a safer, better place to live and work. A key challenge with so many services to be supported was to implement a single, city-wide network that can provide enough capacity for all these services today, as well as the ability to easily scale up the capacity as more connected devices and locations are added, it needs to be IoT and Smart City ready. While fibre is a core portion of the Bradford citywide network, it doesn't have the ubiquitous coverage needed, a limitation that can be remedied with the addition of mmWave wireless. Connexin was looking for a wireless solution that would perform like fibre but without the enormous up-front trenching costs and problematic timeline indicative of fibre deployments. They needed a fast, full duplex gigabit service with extremely high reliability and low latency. With high scalability and low latency in mind, Connexin sought to move to a reliable wireless network for its future infrastructure, replacing its dependence on leased fibre with its costly monthly fees. 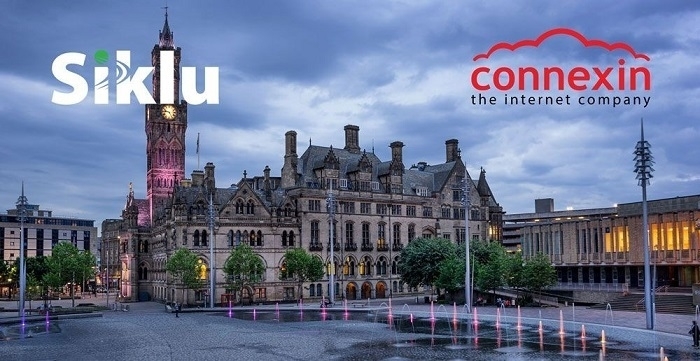 Connexin first started using Siklu mmWave wireless fibre in Bradford City to provide business broadband connectivity and the vast majority of the network is built on Siklu technology. Connexin and Siklu currently provide Public Wi-Fi backhaul to thousands of businesses everyday. This long and successful partnership has proven to Connexin that Siklu are a key technology partner for building intelligent city-wide networks. Sixty EH-1200 series Gigabit radios were deployed to serve as the backbone for the wireless network. Connexin engineered the mmWave links so that each exceeds 99.99% reliability at distances of up to 3.2 Kilometers. A minimum of 100 Mbps was needed, with the ability to scale up to gigabit/sec connectivity was required and Siklu delivered. 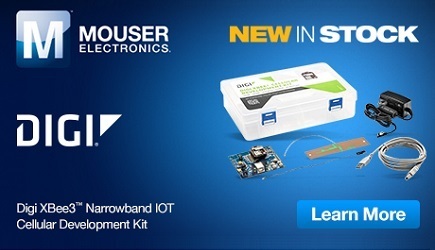 In addition, the very nature of mmWave networks virtually eliminates interference concerns inherent in all 5 GHz products. With the Siklu infrastructure, businesses can be connected to reliable high-speed broadband within 24 hours. Adopting mmWave wireless deployment methodologies covering the entire city centre took a mere few months. The ability to expand networks seamlessly to adapt to the needs of a city is crucial. By using Siklu's mmWave wireless to complete the mid-mile distribution they don't have to wait for permits to dig up roads and the disruption during integration of new hardware is limited. Since deploying the Siklu solution in January 2018, the city infrastructure is fast, reliable and stable and is no longer competing with the many 5 GHz wireless networks in the city centre area. Connexin are currently at the build out stage of a network which is planned to cover the majority of Bradford. Siklu links are currently fed from core sites of the city centre network and the strategy is to expand the network outwards and complete the project within 3 to 5 months' time. Due to the positive impact that the Siklu solution has had on the network capacity and stability, Connexin is now planning to deploy additional radios to replace many of the city's existing 5 GHz backhaul links with Siklu's mmWave solutions. Siklu's radios have helped the Bradford business centre to transform its network from one that was previously affected by congestion and interference to one that is fully functional regardless of wireless communications in the city centre area. Should Connexin seek to expand or strengthen the network further in the future, it can do so incrementally by adding additional Siklu radios as needed, benefiting from the infinite scalability inherent to mmWave wireless technology. Siklu is building urban resilience providing rock solid mmWave broadband connections up to 10 Gbps, which cities and businesses can rely on and scale up in the future.